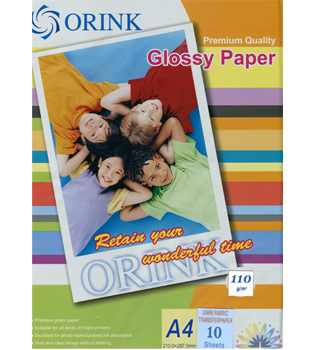 110g A4 size (210 x 297mm), 2880 dpi, transfer paper for dark color textiles. Using for T-shirt, baseball cap, boxer shorts, cloth covered mouse pad, cotton napkins or handkerchiefs, etc. 10pcs per pack.